Older houses don't tend to be well insulated thereby making heating costs often exorbitant. The solution, adding an energy efficient and inexpensive indoor heater. 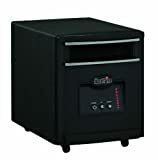 With today's high energy costs you might want to consider investing in one of the many portable indoor heaters available especially if you have decided to turn down the heat in rooms that aren't used a lot. This way you can stay nice and warm and not have to fret about high energy bills! You can find many types of heaters on the market. You will be able to find electric, gas, propane and even kerosene heaters. They come with excellent safety features like automatic shut offs if the heater should tip over. According to the U.S. Consumer Product Safety Commission, indoor space heaters have been responsible for over 20,000 fires in homes each year. If you are going to use one of these types of heaters it is a good idea to make sure that you take care to prevent this from happening to you. Make sure you plug the heater directly into the wall outlet and don't use an extension cord as they can overheat. The heater should be kept more than three feet away from anything combustible such as drapery or furniture. DO NOT USE these heaters in bathrooms or other places where there is a lot of water. Make sure they are placed on a flat surface and out of the way so they don't have a chance of getting knocked over. You can purchase ones that have a safety switch to shut the heater off if they do fall over. If you follow these safety tips you shouldn't have any problems with your heater and you can stay toasty warm even on the coldest days in the winter. There are lots of different types of indoor heaters including ones that use electricity, gas and propane. Regardless of the type of indoor heater you are looking for, we've covered some of the bestselling ones that will help to keep you warm this winter. Dual fuel heaters are becoming popular because you can save on home heating costs when you can use either natural gas or liquid propane to run the heater. These heaters can heat up an entire home in the winter months or a cold room as they come in various sizes. They are also handy to have for those occasional power outages in the middle of the coldest months. These "modern fireplaces" usually come with a thermostat so it will shut off when it reaches the set temperature and then turn back on when the temperature drops. Most of these heaters have safety ratings and can be attached to the floor or a wall. 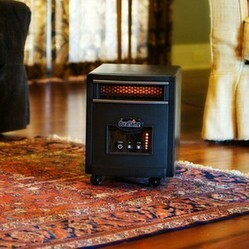 Do You Use a Portable Indoor Heater? No sooner are we out of winter and big heating bills when along comes summer with big air conditioning bills. With a few tips, you can minimize the strain on your wallet. It is simple to save energy. There are not only old, proven products, but many new products. These will save energy and may lower your energy costs in the future.